52 Ancestors, No. 16: Grandma Cora Harrison, Born on Easter Sunday, 1877 | Photo Restorations by Tim G.
This week I bring you Cora Kline Harrison, my paternal grandmom’s paternal grandmom. that would be my great-great-grandmom I’ll tell you how my grandmom’s cousin, Doris, and I honed in on her birthday. The 1900 Census placed Cora’s birth date in February of 1878. Doris rejected this claim, and insisted instead that her grandmother was born on April 1, 1876, although she had no documents to prove the fact. I had inquired about baptism records at the Lancaster County Historical Society with little else to go on. The archivists there told me that many of the churches of that time and place were inconsistent with birth records, so I might have trouble finding a baptism record for Cora. I did not know the parish in which she was baptized. 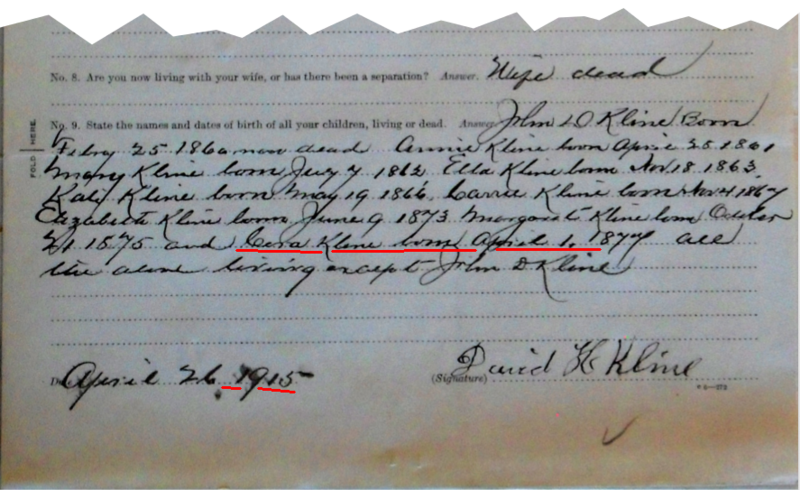 I did find a record of Cora’s birth among her father’s Civil War pension file, but the record was ambiguous. 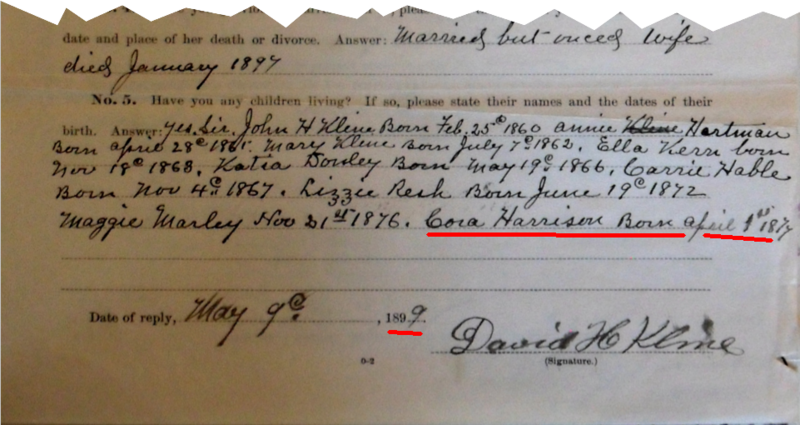 In May of 1898, David Kline reported that his youngest daughter, Cora, was born on April 1st, 1878. In May of 1899, David Kline reported that his youngest daughter, Cora, was born on April 1, 1877. In April of 1915, David Kline reported that his youngest daughter, Cora, was born on April 1, 1877. Nothing is trustworthy here. Many of the dates change from year to year. You can see variations among other alleged birth dates, notably Cora’s nearest sister, Maggie. The 1899 report seems most implausible, with Cora allegedly being born a mere six months after Maggie. The 1915 report compensates by pulling Maggie’s birth date back to 1875. But Doris remembered one additional fact about Cora’s birth that proved to be helpful in identifying her grandmother’s birth date: She remembered that Cora said that she was born on Easter Sunday. Doris had a prayer book that listed all the dates on which Easter fell going back for quite some time. She learned from that list that Easter Sunday fell on April 1st in the year 1877. 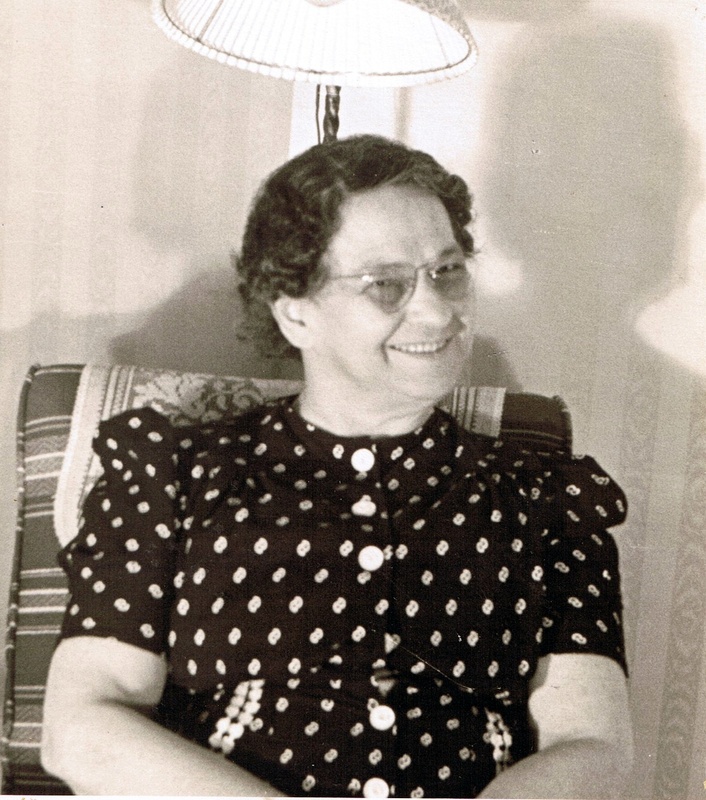 Although I still have no primary document reflecting the date, I now accept April 1, 1877 as Cora’s date of birth. Some quick vitals: The best evidence is that Cora Kline was born in Columbia, Lancaster, Pennsylvania on April 1st, 1877 to David and Margaret (Eisenberger) Kline. She was baby of the family, the youngest of nine children. The eldest child was a boy and the rest were girls. David and Margaret were married at First English Lutheran Church, so I assume the family was Lutheran. Cora gave birth to her first child, Anna, in 1892, apparently out of wedlock. She married my great-great-grandfather, William Pickersgill Harrison, Jr., in 1897. 914 Shackamaxon St., at center. William was a city boy, born and raised in Philadelphia and an employee of the Pennsylvania Rail Road. How city boy William P. met country girl Cora is great family history mystery that I will probably never solve. I used to imagine that William met Cora at Reading Terminal Market, but I have no actual evidence to support that theory. William had an older brother, Edgar, who also worked for the railroad, and who also happened to marry a girl from Columbia, Lancaster. Unlike William and Cora, who settled in Philadelphia, Edgar and his wife, Margaret, settled in Enola, Cumberland County, just across the river from Columbia, Lancaster. I bet it’s not a coincidence that these two Philadelphia Railroad workers both married Lancaster country girls, but I’m not quite sure who caused what to happen. William and Cora Harrison returned to Philadelphia to raise their family while young Anna remained in Lancaster to be raised by Cora’s siblings. William and Cora had five children: Blanche, Harriet, Cora Jr., William, III, and Charles. Young Harriet died at the age of three. The others survived to adulthood. William, III, was my great-grandfather. 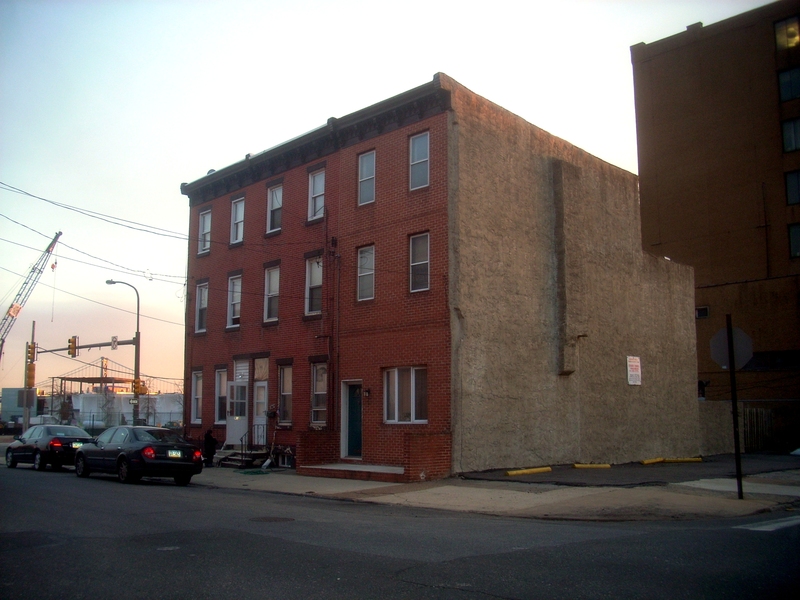 The family lived at 914 Schackamaxon Street, near the docks where William and Charles worked. After the Blanche moved to Virginia and the boys moved out, Cora lived the rest of her days at 914 Shackamaxon with her other daughter, Cora Ochs wife of John Ochs. My grandmother’s cousin, Doris, who helped me to puzzle out Cora’s birth date, was Blanche’s daughter. Young Doris poses with her grandmother, Cora, in the featured photo. My own grandmother, William’s daughter, Joan wrote the inscriptions on the photograph when she included the photo in an album. Normally I would leave this type of writing on the image, but I took it out here for demonstration purposes. 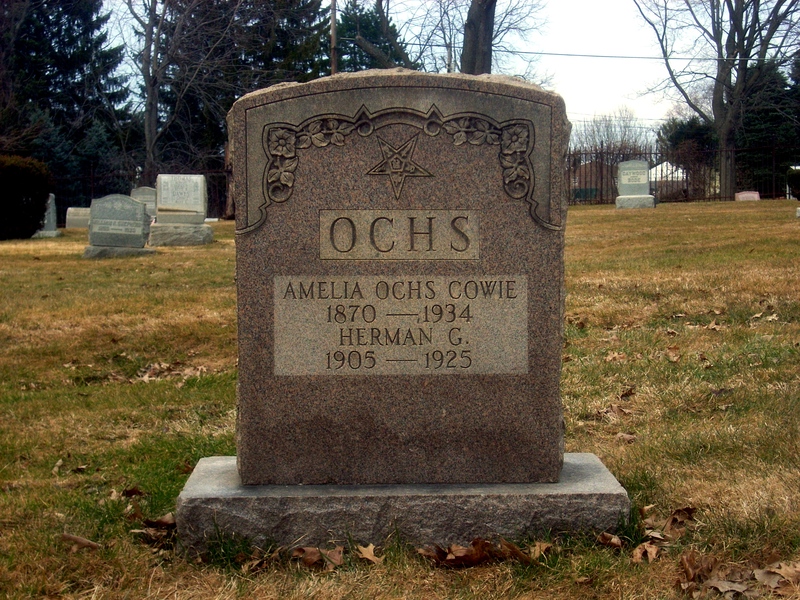 The Ochs monument at Lawnview Cemetery. When Cora’s husband, William Pickersgill Harrison, Jr., died on the job after a fall from a crane, the Pennsylvania Rail Road offered Cora a lifetime travel package. I’d like to know whether and how she used this token of restitution. Cora also outlived my great-grandfather, William, who died in 1959. She died on May 1, 1960, and was buried at Lawnview Cemetery, with the family of her son-in-law, John Ochs. Cora’s daughter, Cora Ochs, and son, Charles Harrison were also buried at the site, although the monument there does not bear any of their names. I asked my grandfather what he could remember about Cora, and if he had any good stories about her. He said he met her a time or two, but couldn’t really say much about her. The best insight that I have into her soul is from this photograph, which shows her to be a jolly person. It’s tough to tell what a person is like from just one photograph, but my mother has taken a liking to Cora because of it. So have I. 52 Ancestors, No. 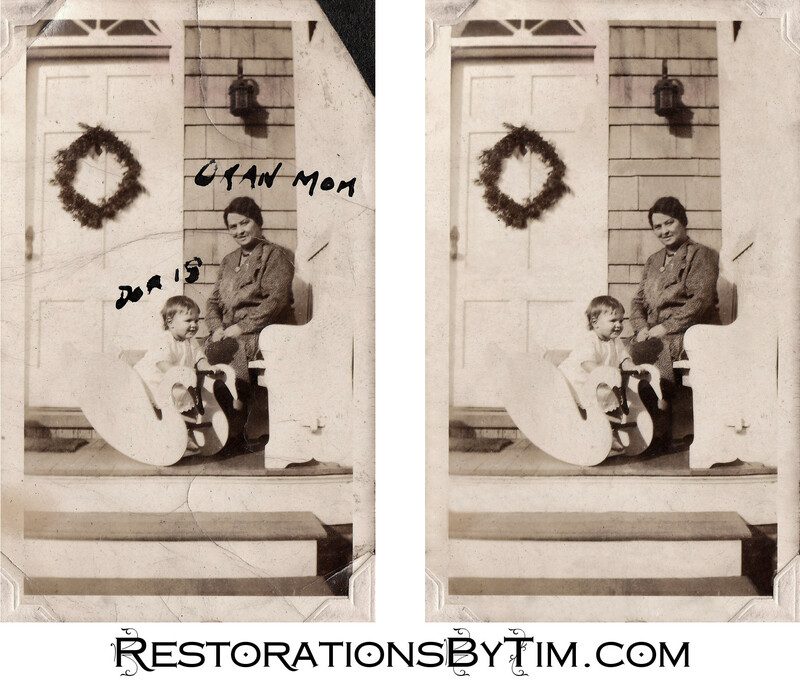 21: Clyde C. Kitch, the Man Who Gave All | Photo Restorations by Tim G.
52 Ancestors, No 23: The Unidentified Man | Photo Restorations by Tim G.